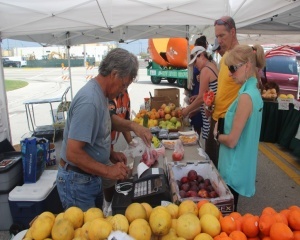 Broward County Farm Bureau helps educate the public about the importance of agriculture by bringing the farm to the city through various events. The Annual Bean and Pepper Jamboree is a partnership between Broward County Farm Bureau and the Kiwanis Key Club and 4-H members. The clubs get to interact with the families and emphasize the importance of agriculture. The event is open to the public and is always a huge success in bringing awareness to agriculture and recruiting new members who want to support agriculture in our state.